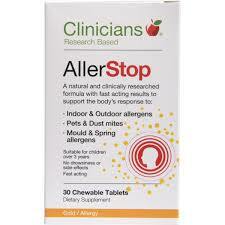 Clinical research shows Clinicians Allerstop provides effective allergen support within 15 minutes, repeated use can help provide long lasting support from environmental allergens, has randomised placebo-controlled double-blind research behind it no contra-indications, so can be used by anyone, heavy machinery and vehicles can be operated while taking Allerstop, Easy compliance as it is not a tablet or capsule to swallow but a chewable tablet Suitable for children to take. Also contains: Microcrystalline cellulose, sorbitol, magnesium stearate. 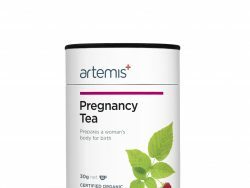 No added: gluten, dairy, yeast, sugar, artificial colours, sweeteners or flavours or preservatives. 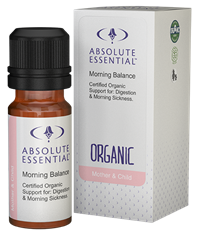 Adults: 2 tablets (chewed slowly) every two hours or as required. Best taken away from meals.